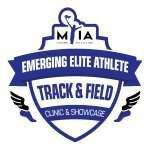 We are committed to training student-athletes to develop their skills in their respective track and field events. We educate student-athletes so they can attain elite level HIGH SCHOOL, CLUB AND COLLEGE status. We stress fun and effective instruction. We create an athletic environment that promotes learning, encourages a love of the sport, and that motivates your athlete to come out year after year.The problem of overweight and obesity has become a national public health concern. Conditions associated with physical inactivity and poor nutrition may soon overtake tobacco as the leading cause of preventable death in the United States. As the rate of overweight and obesity soars, American children have not been spared. Children in the United States are heavier than ever before. Since the 1970s, the percentage of children and adolescents who are considered overweight has more than doubled. According to the National Health and Nutrition Examination Survey (NHANES), approximately 15 percent of children and adolescents are now overweight. Coach Herb is very through and attentive. I am happy with the choice we made. Coach did a great job working with my daughter. Very knowledgeable, patient and does it right. Thanks coach! Coach Herb is a wonderful coach. He is willing to help you reach your top potential while also having a good time. I I have only trained for a few weeks and have had a lot of improvements.